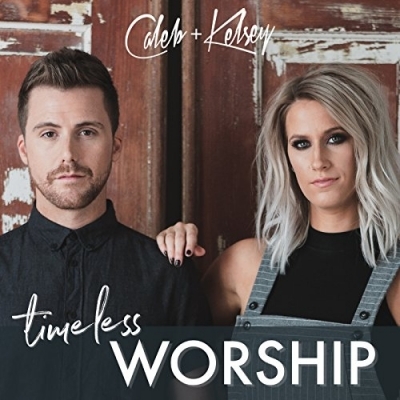 Married duo Caleb and Kelsey have released their new full length album 'Timeless Worship'. Following their #1 charting album 'Worship', their follow-up project includes medleys of re-imagined vintage praise & worship songs still beloved by people around the world. "This project was so much fun to put together because it includes so many vintage praise & worship songs", explain the couple. "We both grew up singing on church praise teams and choirs, so these songs are nostalgic, but also meaningful. They have represented milestones on our spiritual path. Our hope is that the re-imaginations of these classics will ignite connection to your creator, invite you to participate in the mysterious love of the divine, and bring encouragement to you on your faith journey... wherever that may be." Caleb Grimm of Anthem Lights, teams up with his wife Kelsey to form the powerful vocal duo Caleb and Kelsey. From pop ballads to worship medleys, these two dazzle with beautiful harmonies, creative arrangements, and powerful songs. Married in 2014, Caleb and Kelsey began singing together and haven’t looked back. They reside in Nashville, Tennessee where they’re raising their family and creating heartfelt music together.